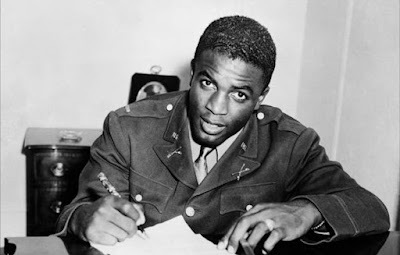 100 years ago today, Jackie Robinson was born to a sharecropper family in Grady County, Georgia. Before he broke baseball's color barrier, he tried to help break the same barrier in the U.S. military during World War 2. Considered a rising star in the army, however, his career was torpedoed after being court-martialed because he—a commissioned officer—refused an "order" from a white driver to sit in the back of the bus.